We are a certified TrexPro Platinum builder, so you can feel confident that we can handle your project. We promise professionalism, quality craftsmanship, on time and within budget. 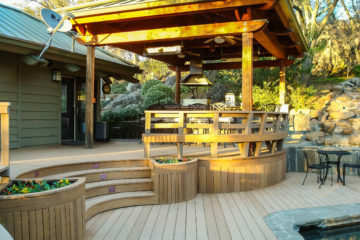 Let us work with you to create the Redwood deck you have been dreaming about. 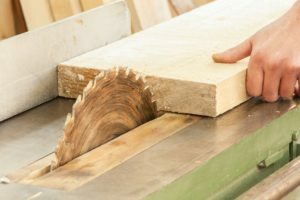 We have a proven record of accomplishment and are a reputable company in Northern California. We ensure that all projects are done with utmost professionalism using quality materials while offering clients the support and accessibility. For us, honesty is the only policy and we strive to complete all projects with integrity, not just with our clients, but also our suppliers and contractors. With thousands of successful projects under our belt, we are one of the most trusted construction companies in California. Sacramento Builders traces its roots back to 1980 in Sacramento and since then have never looked back. With thousands of successful projects under our belt, we can proudly say that we are one of the most trusted construction companies in California performing both residential and commercial construction work. For more than 25 years, Sacramento Builders has offered a wide range of construction services in the Sacramento Valley, and many other communities in Northern California. We love our benches. It was the final element needed to complete the backyard. It looks how we envisioned it. Thanks again! 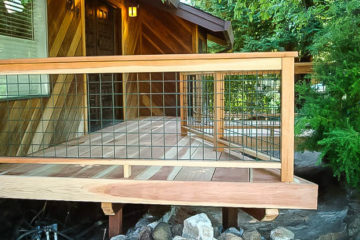 THIS IS THE 5TH PROJECT STEVE AND HIS HIGHLY SKILLED CREW HAS COMPLETED FOR OUR FAMILY RANGING FROM RELATIVELY MINOR JOBS TO THE MAJOR TEAR-DOWN AND REBUILDING OF A BACKYARD DECK. EACH TIME, NO MATTER THE SIZE OF THE JOB, STEVE AND HIS CREW HAVE APPROACHED THE PROJECT WITH THE SAME PROFESSIONALISM AND SKILL ONE WOULD EXPECT BUT NOT ALWAYS PROVIDED BY OTHER COMPANIES. Top notch deck quality. I think the deck might last longer than the house! You took our landscape designer's vision of a modern, minimalist design with clean lines, and turned it into reality. You truly nailed the aesthetic. Thanks again! Our promise as a contractor is to build value into every project while delivering professional expertise, exceptional customers service and quality craftsmanship.